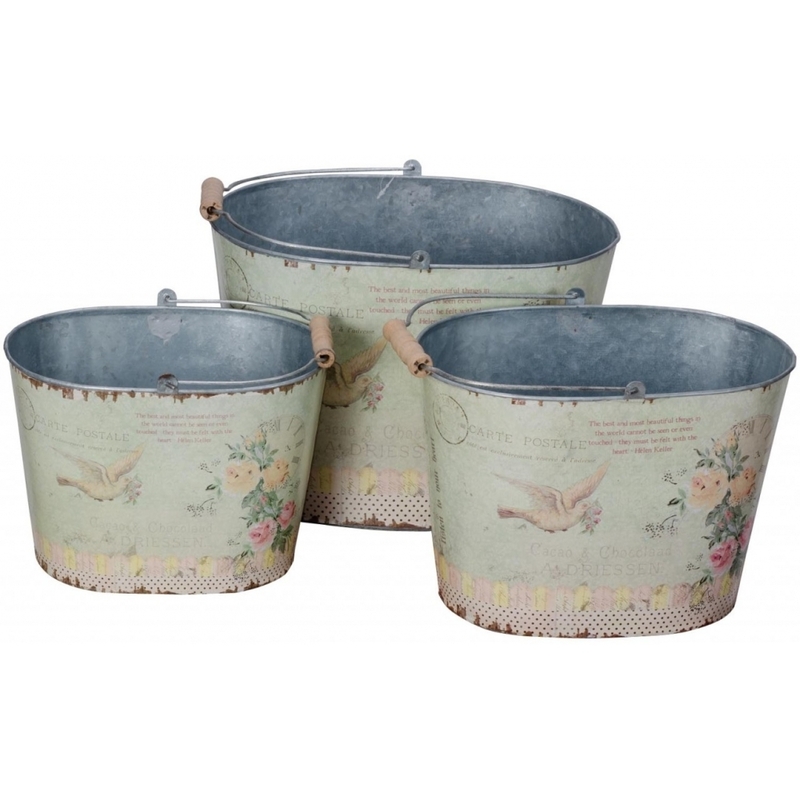 Spruce up your garden with these delightful garden tin buckets. Hand crafted to the highest quality, this wonderful piece, including 3 tins and a vintage carte postale illustration will be sure to amaze. Brightening up your home or garden alike in an instant.